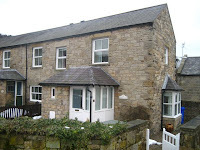 Rothbury has a wide range of quality Accommodation and is very popular with walkers, cyclists and anglers in particular. There are Hotels, Self Catering Cottages, family run B&B's and a Bunkhouse, something to suit all budgets. If you are looking for Caravan or Camp Sites in and around Rothbury, please visit our Caravan and Camping Page. 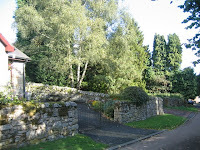 Rothbury has many attractions and things to do, with nearby Cragside House and Gardens being the most well known. It's also an ideal base from which to explore Northumberland's National Park which offers excellent walks and plenty of fishing opportunities with the River Coquet and many lakes and reservoirs nearby. Click here to return to the Rothbury Area Guide. Please use the list below to explore the different types of accommodation on offer in Rothbury itself. The countryside surrounding Rothbury is simply stunning, click here to explore accommodation in the surrounding Villages. The list is sorted by accommodation type, but can also be sorted by name. River Neuk - Rothbury, Holidays from £220 per week! 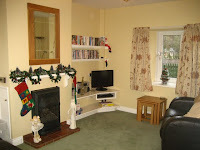 - A Stunning three bedroom holiday home, book online! - Quite simply the best views you will ever see!